How to choose the right wide format inkjet printer? Wide format inkjet printers enable users to print larger size of images with sharper, more vivid colors and more precise details, and its deliver output is incomparable to many traditional printing machines. Wide format inkjet printer devices include small, inexpensive consumer models, as well as expensive specialized output capabilities in the commercial environment for a wide range of different industries with a wide range of options. including full color documents, signage, posters, banners , Drawings and maps and more. When companies choose a wide-format inkjet printer, it deserves to be valued as an important asset for a business. So how to choose the most suitable for your business wide inkjet printer is an urgent need to understand.We say that the choice of inkjet printer, the top priority is the print head, so is wide format inkjet printer. Currently, on the market, the wide range of printer types can be broadly divided into the following three categories. First, the water-based ink. 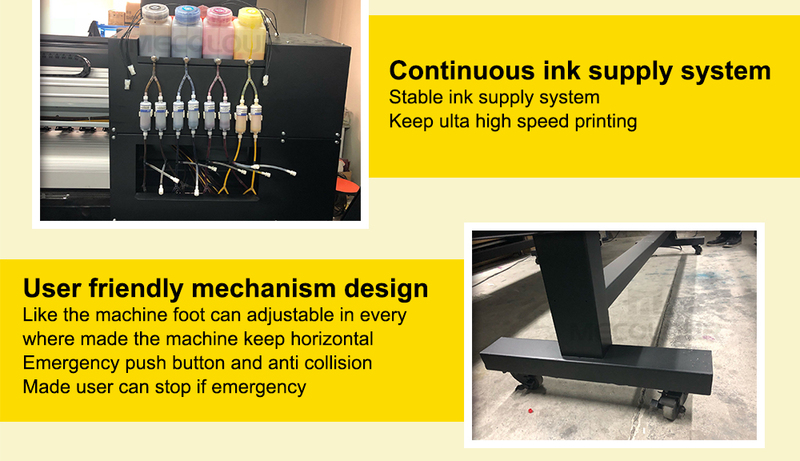 Wide inkjet printer based water ink, which transfer speed, quality and reliability for indoor printing of basic applications such as signs, backlist display posters and photography. Second, Solvent ink. The inks used in these printers are not aqueous. For example, a piezoelectric ink jet printer uses a liquid such as petroleum or petroleum byproduct acetone as a consumable, resulting in a print that is more water resistant than aqueous inks , Lasting, commonly used in outdoor advertising, banners and so on. Third, UV curing: Some piezoelectric inkjet printers use UV curing ink (that is, when the ink is exposed to UV light dry under), the resulting print is waterproof embossed effect, full of vitality. Used for plastic products and other non-porous substrate material. Although a wide range of wide-format inkjet printers are available on the market, they are not necessarily suitable for your own business application. In addition to choosing the right printer type, you should consider the following factors. First, the output size. Wide format printing is the most prominent feature of this type of printer, the market wide format printer from 14 inches to 60 inches, while the length is almost unlimited. The 36-inch is usually the choice of professional design drawings, some customers may also need to output 44-inch wide, it depends on your job requirements. Second, the application. If the output file contains complex lines or small fonts, then you will need to print a precise and reliable print every detail of the printing system. 300dpi and 600dpi are the most elegant text file settings, while the output of graphics and photos requires a resolution of at least 600 * 1200. Third, the media processing. 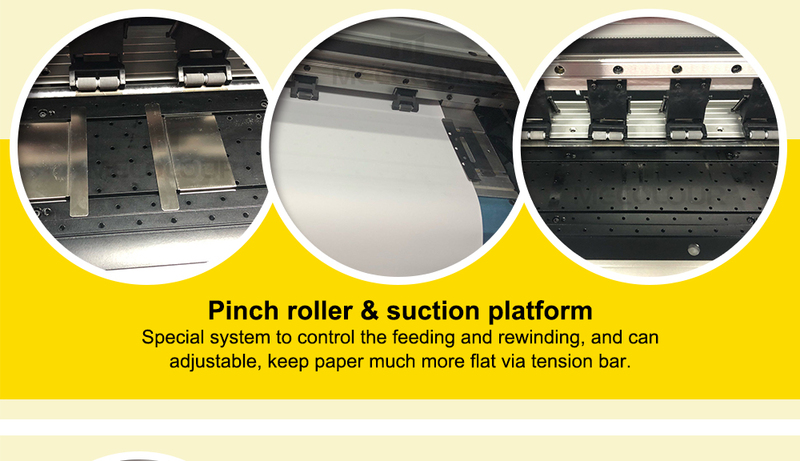 If you need to use different sizes or types of media, then the choice of equipment it is important to be able to access multiple media rollers at the same time, the media stream load is a value that must be considered. Some printers provide the ability to read another media stream and process the job while printing one. In the meantime, it is also important that the printer still be able to auto-organize and stack output files when multi-user muti-command loads are available. Fourth, print volume and efficiency of the work-group. If your site produces large-capacity printing or scanning tasks, we must ensure that the printer choose to keep up with your high-capacity work flow. In larger working groups, the old printing system may bottleneck, hindering productivity. As more and more users use printers, waiting for large file processing and printing, printing queue management, preventing errors, replacing consumables, tracking costs, and securing sensitive files are all issues that need to be addressed. Fifth, muti-function capabilities. Muti-function inkjet printer to the user to select print, scan, copy and other functions, convenient and practical.